9ct Gold hallmarked pre-owned hollow Albert chain. 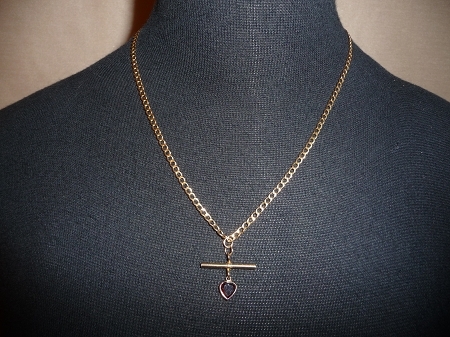 Attached to the chain is a heart shaped garnet. Length of chain: 18 inch. This chain has been professionally polished in our workshop.